In a move that came as no surprise to the MotoGP paddock Jack Miller has finally been confirmed at Marc VDS for next season. The team will expand to two bikes with HRC contracted Miller joining outgoing Moto2 championTito Rabat. There was plenty of tension between Miller and Marc VDS over the last 12 months with the team believing that the Australian had signed a contract with the team to race in Moto2 before electing instead to sign with HRC and race in Moto2. A legal battle ensued that still had not been resolved when the parties started to negotiate for next year. For Miller the opportunity to race in MotoGP was understandably too great but he's now excited to finally get the chance to race with Marc VDS. "I'll race for Marc VDS next year and it's very exciting for me and I'm looking forward to it," said Miller at the pre-race press conference in Australia. "The package that they've put together this year in their first MotoGP season has been impressive. I'm looking forward to the next chapter in my GP career. I'm fortunate to have my crew come with me to the team next year." "I think that this was one of the most competitive seasons ever in MotoGP and all the manufacturers have been going well. Honda has had a good package with the Open bikes and we've had some good results but also some poor results." Miller will bring his crew with him to Marc VDS. Marc VDS ends Jack Miller pursuit – legal battle to follow? 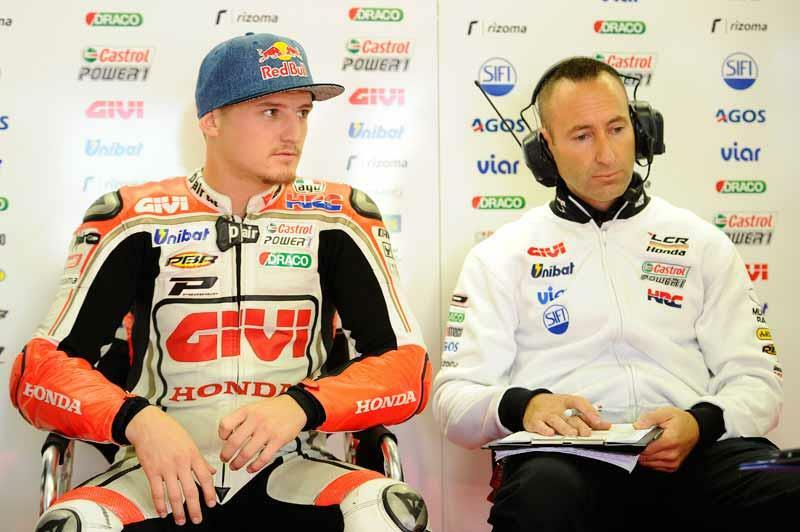 Jack Miller set for Moto2 move with Marc VDS?